Since I wear Oiselle pretty much every day, I thought it would be fun to post a picture a day to Instagram, and tag them #oiselfie. Indeed, it did turn out to be fun, and I learned a lot about the art of the selfie. Namely, take at least 30 pictures for every one good shot! 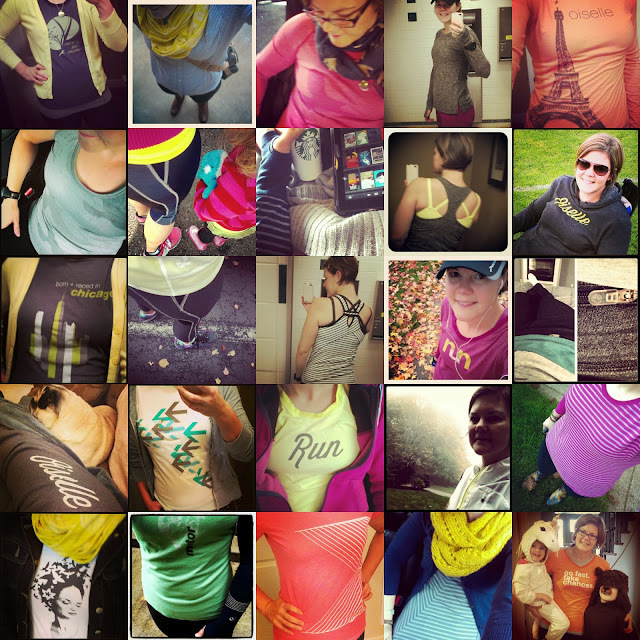 I put links to products on the Oiselle website where I could; again, just for fun and for sharing the love! If there's not a link, definitely check your local running store or perhaps Amazon. Happy Halloween - Go Fast, Take Chances!